There will be plenty of intentional crunching at the Wilmot Raceway on the fairgrounds on Sunday with Demo Derby taking place starting at 1:30 and 5 p.m. 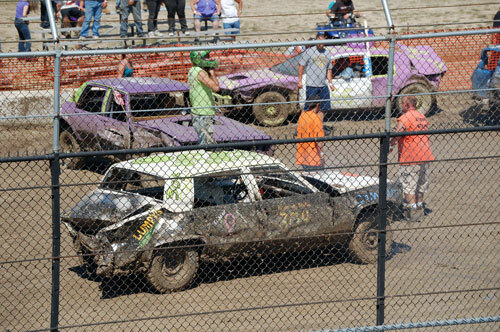 In demolition derby, competitors try to disable each other’s vehicles by running into them. The last driver with a car that can still get around is the winner. The demo derbies always draw a good crowd to the grandstand. Seeing all the destructive action of the derbies is included in the gate admission. Check out this link if you are interested in entering the derby. This year’s Kenosha County Fair runs from Aug. 19 to 23.